Ohio Linux Fest was a blast this year. The Expo Hall was busy and packed with geeky awesomeness. I met a bunch of fabulous people and had some excellent conversations with customers and other Ubuntu fans. 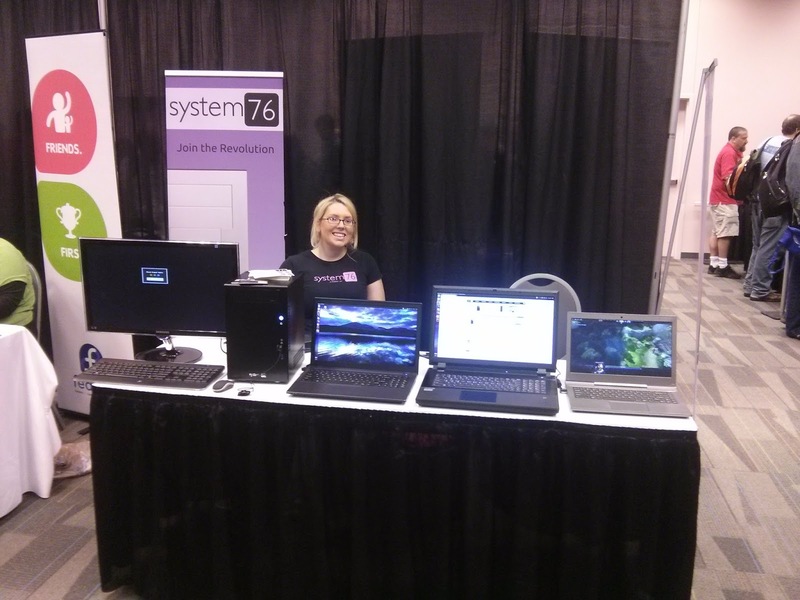 I've made my way through a number of conferences this past year and OLF2013 had more System76 customers than any other conference. It was fun to meet customers face to face after having ongoing conversations with them through the order queue as well as connecting through social networks. It was the first conference I've been to where I wasn't completely surrounded by MAC laptops, which was an awesome sight for me. I wasn't able to attend any talks or classes because Ian and I were running the booth in the Expo Hall. I'm fine with that though, because most of it seemed overly technical for my liking and I love running the System76 booth and talking about our computers. Our booth was packed when we put the games on the Galago UltraPro. Nobody could believe that it was running on Intel Graphics. We had quite the crowd the majority of the time. 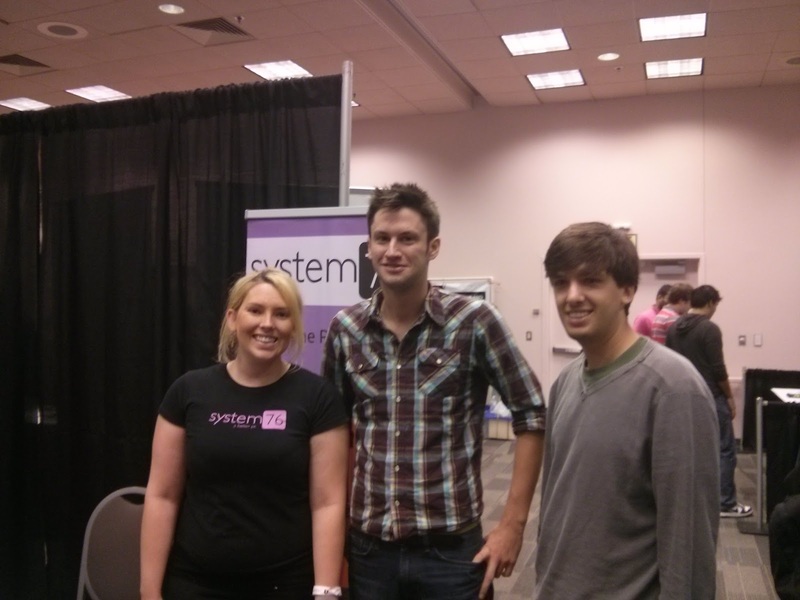 The highlight of Ohio Linux Fest was meeting our partners from Project: Community Computers. Jeff and Garrick shared their passion for spreading technology to communities in need and it was really heartwarming and exciting to know that we have an opportunity to help them out. I'm personally excited to continue promoting their work and can't wait to see how their next Ubuntu lab deployment goes. They are headed to Sierra Leone in November to set up a lab at a University with 40 computers running Ubuntu. I connected Project: CC with Jono, so hopefully we can both use our social networks to their advantage and achieve maximum social spread. They work so hard and are doing an incredible job spreading Ubuntu. I can't wait to watch their success. The best part of every conference is the people. Face time is valuable and I don't think you can really see someone's passion for a project without it. Face time in the community is an extremely valuable tool to help spread any idea and I highly recommend attending conferences to achieve that.